All aboard Santa’s Express! Join Santa for a 90-minute journey on the heated West Chester Railroad through the Chester Creek Valley. Santa greets everyone at Market Street Station, then rides along to Glen Mills. Explore the historic Glen Mills Station, where there’s plenty of photo opportunities on Santa’s lap, so remember your cameras. There will also be live music by Greg Wright & Friends. Incase you get hungry along the way the on board snack car offers hot dogs, hot chocolate and various snacks (cash only). Santa’s Express is scheduled for multiple weekends this holiday season including: December 6-7, 13-14, 20-21 @ 11am, 1pm, 3pm and additional 5pm departures on December 13-14, 20-21. For more information on the event or to learn more about the West Chester Railroad click here. 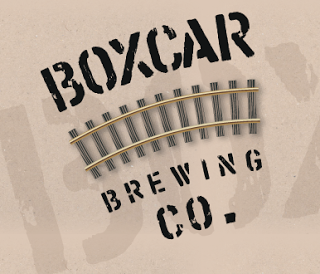 Don’t miss Ride the Rails hosted by Boxcar Brewing Company on October 25, 2014. Ride the Rails is a nostalgic train ride through picturesque Chester County. Come out for an event to remember as you board a 1930’s style train car and head down the historical West Chester Railroad to Glen Mills picnic park. Boxcar Brewing will provide the food, beer, and live music. The train will depart at 5:30pm from the West Chester Railroad Station and will return to the station at approximately 9:30pm. For ticket information click here or visit Boxcarbrewingcompany.com.